This article is part one of a two-part series outlining the benefits of the ZEISS instruments that Klein Optical uses to create personalized lenses just for you. Be sure to read part two about i.Terminal 2 next. A lens is only effective as the data used to make it. As the eye is the human body’s second most complex organ—following only the brain—even the smallest imperfection in the lenses of your glasses can cause lack of clarity and eye strain. 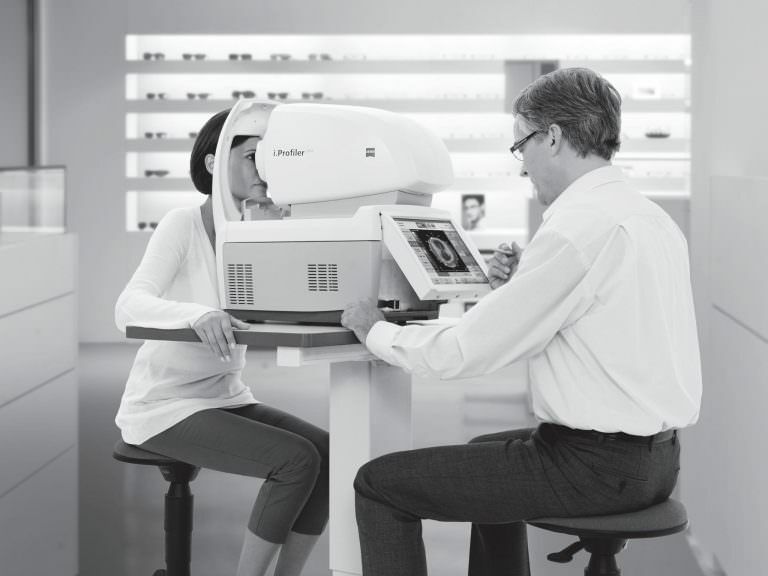 At its simplest, i.Profiler plus by ZEISS is an autorefractor, measuring how light changes as it enters your eye to determine your refractive error and create your prescription. However, this is where similarities with other autorefractors end. i.Profiler plus utilizes an innovative wavefront technology, sampling each eye at 1,500 points. This provides a topographic map of your eye’s aberrations. Furthermore, i.Profiler plus analyzes your eyes in dilated states to simulate night and twilight conditions. The process is comfortable, automated, and fast; the entire examination of both eyes is completed in 60 seconds. 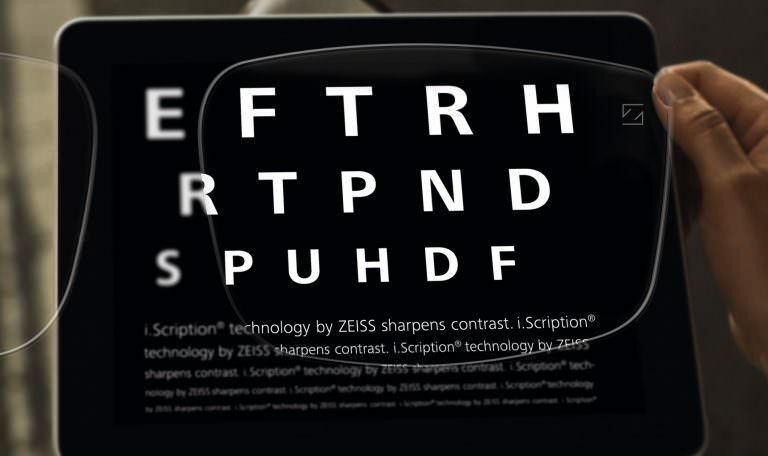 The end result is your i.Scription: your optical fingerprint, and the basis for your personalized ZEISS lenses. 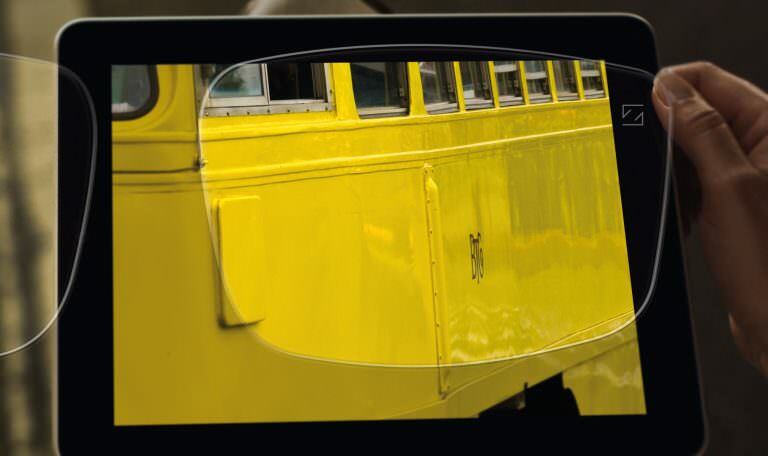 Lenses with i.Scription technology correct your eye’s aberrations, allowing you to experience crisper vision and improved contrast for reading as well as brighter, more vibrant colours. 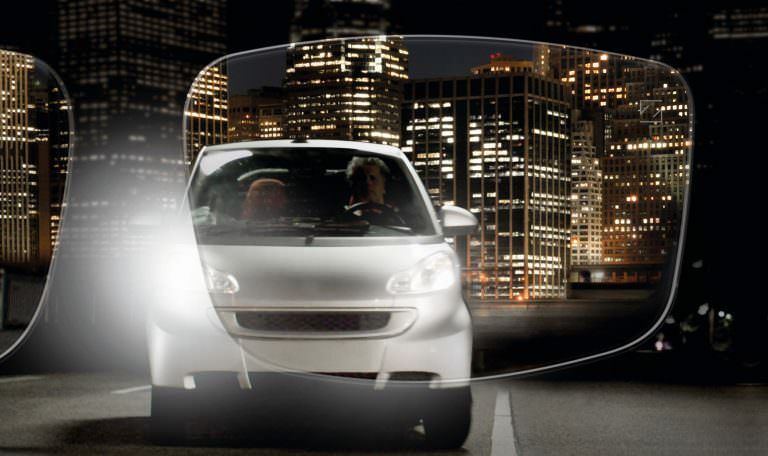 Improvements in night vision are especially notable with optimizations for your dilated eye’s refractive shifts, minimizing glare and halo effects. No two eyes are alike and i.Profiler provides the most comprehensive representation of yours to create lenses as unique as you are. Drop by or get in touch to find out more about this or Klein Optical’s other personalized vision solutions.